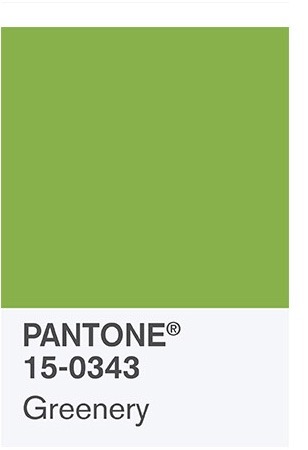 The Pantone Color Institute has announced its 2017 Color of the Year, which is Greenery (15-0343). This vibrant green evokes images of spring and the ongoing renewal of nature. It reminds us of the need to lower our impact on the environment, to connect more with nature and to work towards personal renewal. Even if you do not normally follow color trends and have never heard of the Pantone Color Institute, this year’s color choice may resonate with you in ways previous choices have not. This is particularly true because of the connection to nature and the global desire for a fresh start. 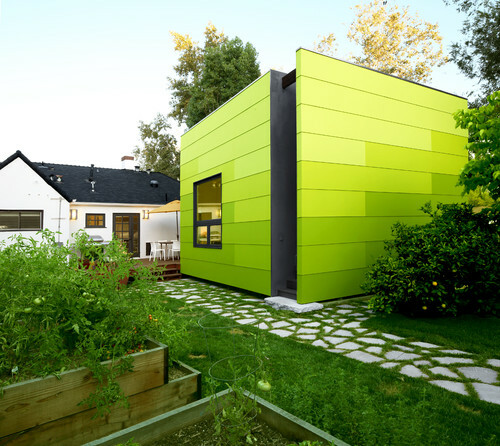 As an added benefit, this may be the easiest color ever to incorporate into your landscaping and outdoor living areas, since it is – after all – distinctly a color found in nature. Pantone Color Institute is a world leader in color trend forecasting, color strategy and brand color development. In this position, they assist some of the most well-known brands in the world develop color palettes specific to their brand or to a particular collection or product line. They are a major influencer in product development in a wide variety of industries, including fashion, home décor, product packaging, paint, plastics, industrial design and digital media. Several companies that produce interior and exterior paints publish a chosen color of the year each year; however, it is the Pantone Color of the Year that is considered the leader in color trend forecasting for the coming year. The institute does not simply choose a popular color; the color choice is a research-based decision that takes into account current events and global movements. Why is Greenery the 2017 Pantone Color of the Year? 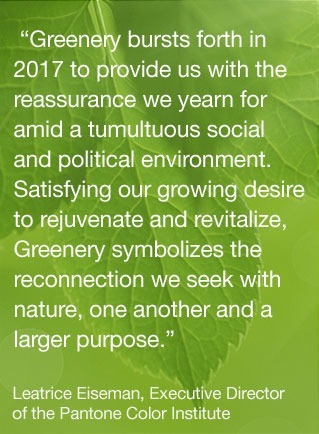 Noting that, “Greenery is symbolic of new beginnings,” the institute points out that this is the color of nature’s own restoration and renewal. If the idea of restoration and renewal resonates with you, it might be time to rejuvenate your outdoor living areas with a bit of this vibrant hue. Of course, Greenery is so similar to colors found in nature that you probably already have at least a few touches in your yard. 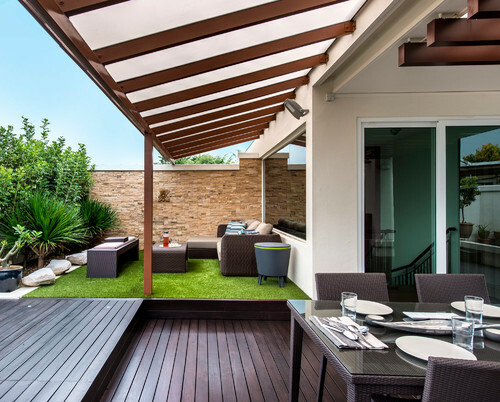 Here are eight ways you can use Pantone Greenery and similar tones in your outdoor living areas to connect more with nature and celebrate the spirit of renewal. 1. 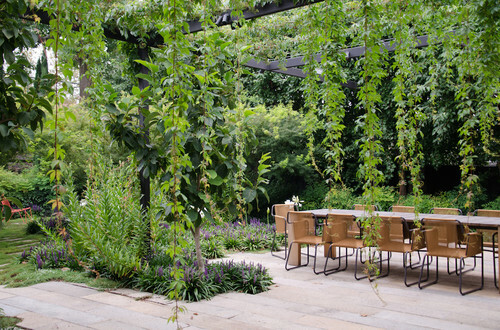 Vines: Trailing, green vines draped over arbors or falling down from an overhead pergola are the perfect way to enhance the natural setting of outdoor seating areas. If you choose flowering vines, you will also get additional pops of color to enjoy while spending time outdoors. 2. Succulents: Water-saving succulents provide Greenery-esque colors while also giving a nod to the vibe of this year’s color choice, which includes a greater acknowledgement of the environment and our impact on it. 3. Stems: Any kind of flower with a prominent stem will add green foliage to your landscaping. 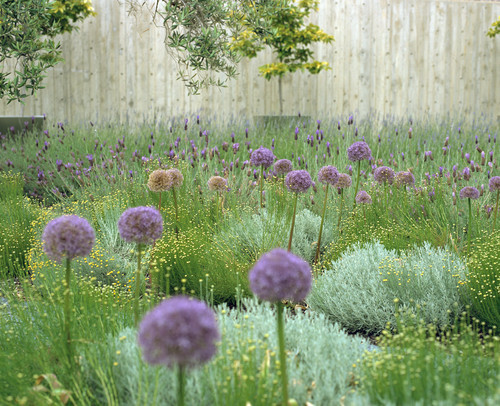 One example to consider is ornamental onions (allium), which have long, green stems topped by colorful blooms. 4. Outdoor Rugs: If you are not sure that you want to add any more living elements to your outdoor living areas, which will then require care or more water, choosing easy-care textiles might be a better choice for you. For example, you could choose a Greenery-inspired outdoor rug that will instantly refresh the overall look of your patio. 5. Patio Cushions: Another textile option to consider is patio cushions. If it is time for some new patio cushions, choose shades similar to Greenery for a renewed, updated look that is perfectly on trend. You do not have to replace all of your cushions with a new set that is a single shade of green; you can mix things up by picking patterned pillows to use as accents or solids that complement your green motif. 6. Artificial Grass: In the spirit of renewal and making more environmentally conscious decisions in the coming year, synthetic turf may find its way onto your list of ways to include hues similar to Greenery in your landscaping. 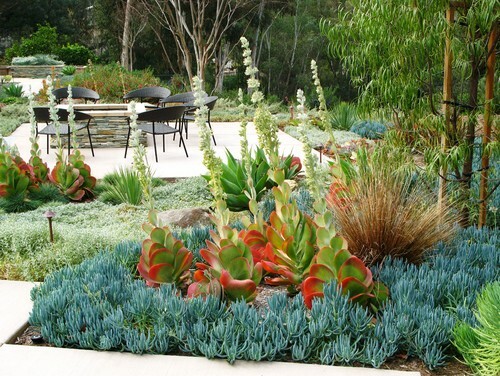 This water-saving option instantly increases the visual appeal of your yard with a stunning, lush green that requires very little maintenance, which leaves you more time to work on other aspects of your personal rejuvenation and renewal. 7. Cutting Garden: Planting a cutting garden will provide you with ongoing greenery you can cut and arrange in vases throughout your outdoor living areas. 8. Citrus Trees: Planting lemon, lime, orange or kumquat trees will provide you with leaves in almost the exact hue that inspired this year’s color choice. They will also provide you with many years of fruit for your family to enjoy. 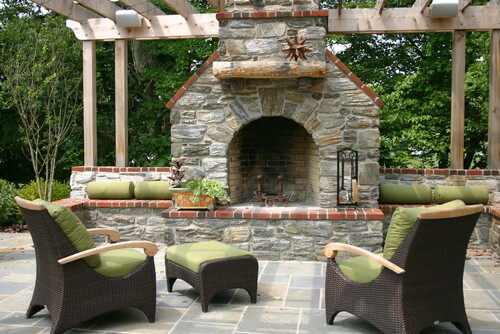 How do you plan to include Greenery in your outdoor living areas this year?